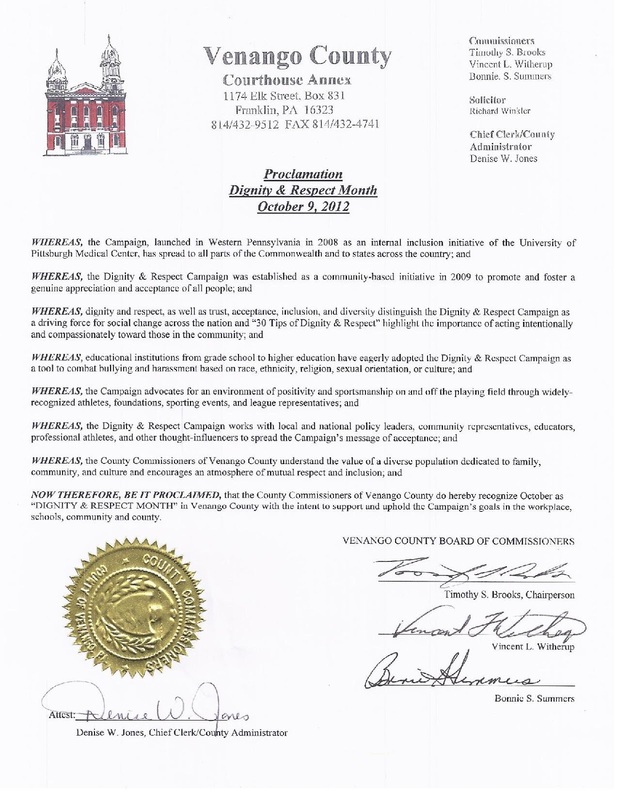 Venango County Celebrate Dignity & Respect Month! Be an ambassador for Dignity & Respect in your home town! Take Five: Nominate a Champion!